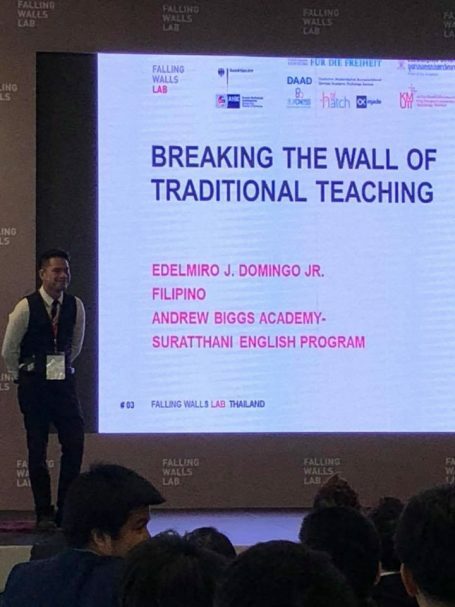 Ed Domingo, a Filipino science teacher in the South of Thailand was chosen as one of the Top 22 Speakers of Falling Walls International Forum held in Bangkok on September 16. Aside from being the first Filipino to qualify in the said international competition, Domingo was also the only educator and expat who got into the list of Top 22 Speakers. Among other participants were outstanding scientists, researchers, entrepreneurs and professionals in Thailand. Falling Walls is a unique international platform for leaders from the worlds of science, business, politics, the arts and society. It was initiated on the occasion of the 20th anniversary of the fall of Berlin wall. 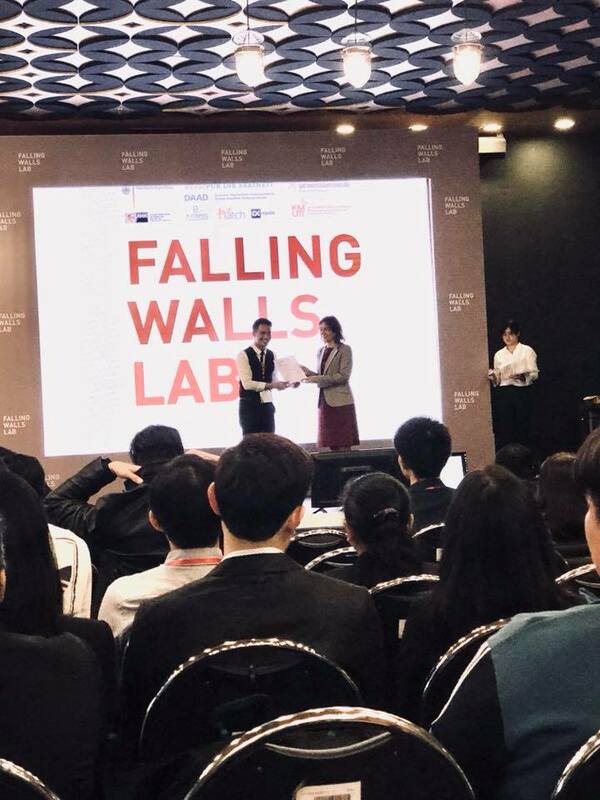 Falling Walls Lab, one of its programs which Domingo participated in, is a prestigious international forum competition participated by 80 countries around the world. According to its website, all finalists win a ticket to attend the Falling Walls Conference where they meet the world’s movers and shakers of science, business, and policy-making. 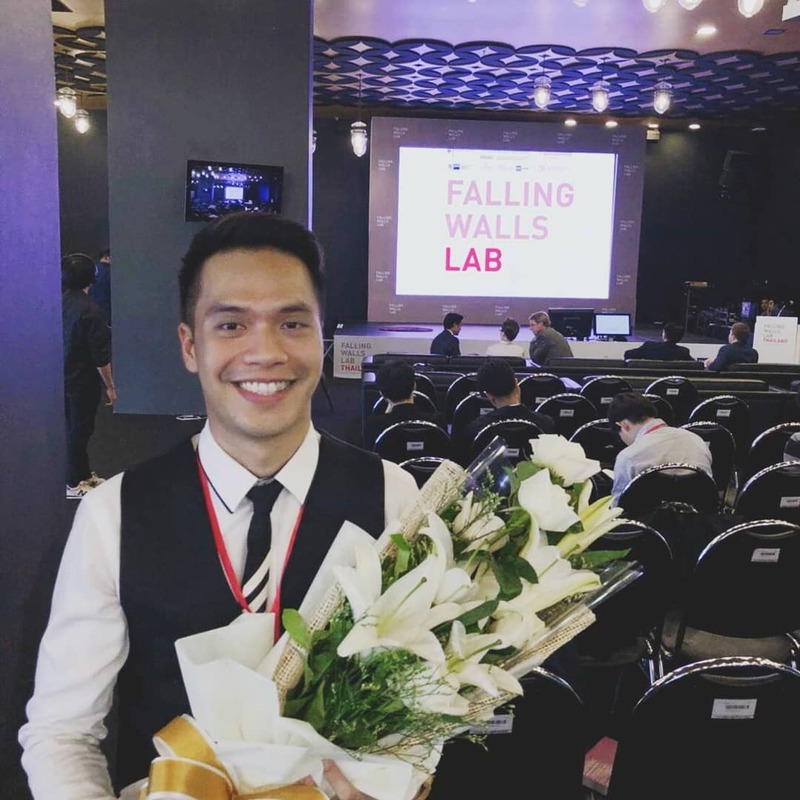 Eventually the three winners of the Lab Finale in Berlin are awarded the “Falling Walls Young Innovator of the Year” title, prize money, and get to pitch their idea once again on the grand stage of the Falling Walls Conference. Hailed in the province of Bukidnon, Ed as he is fondly called by his friends has been working in Thailand for about five years now. He works as a Science teacher in an English Program in Surat Thani, South of Thailand. 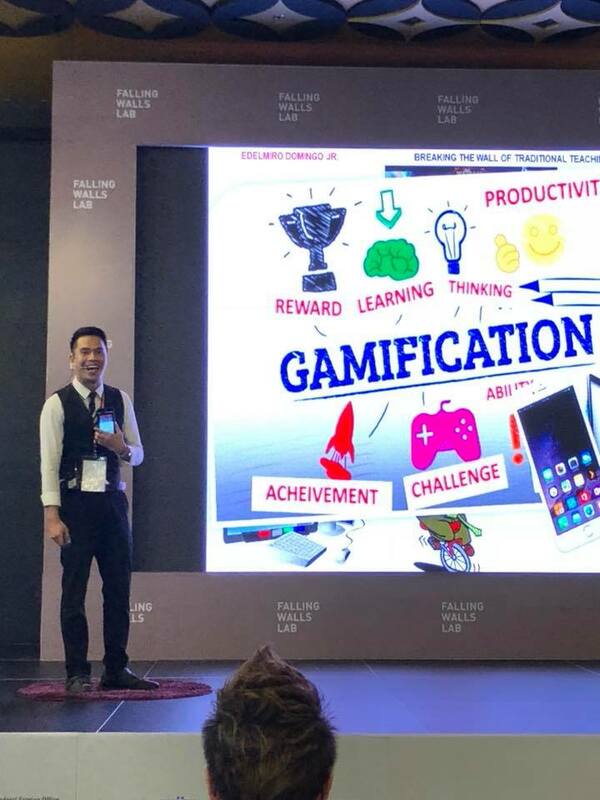 His passion for teaching has helped him in coming up with his presentation entitled “Breaking the Wall of traditional teaching: Introducing new innovations in teaching called Gamification and Game-based learning to teachers and classrooms in Thailand”. When asked why he joined the competition, Ed said that he wants “to show the world what pinoy teachers are made of”. 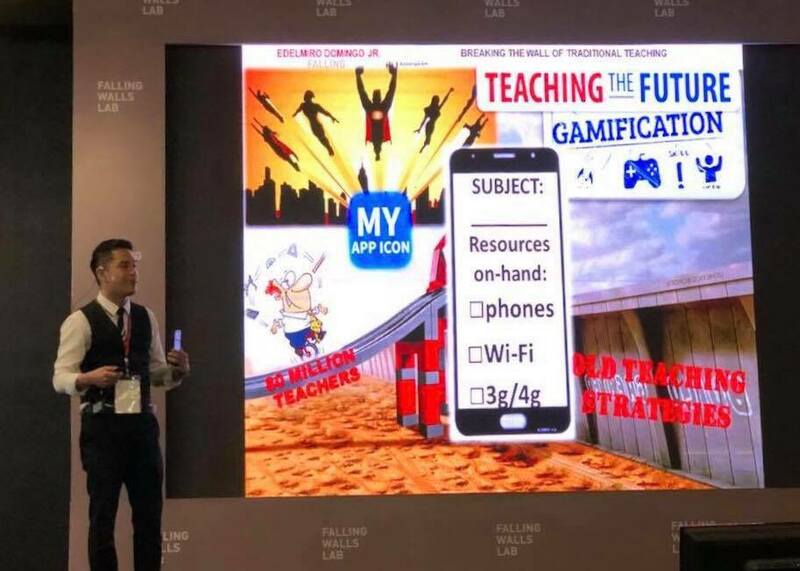 He also wants people to recognize the Philippines as one of the countries to join in this international competition since Filipinos are more innovative and creative people who can keep pace with anyone in any international competitions. 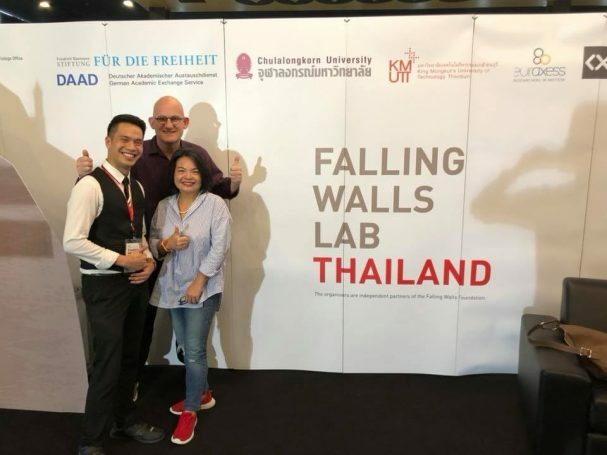 Outstanding researchers, entrepreneurs and professionals presenting their outstanding 22 ideas/projects aiming to BREAKING THE WALLS OF varies issues in 3 minutes at the FALLING WALLS LAB THAILAND.